A Hartford teenager battling cancer was thrilled to have the chance to travel to South Korea thanks to Make-A-Wish. Your donated airline miles could make a wish come true for a kid in the fight of their life. One Hartford teen is still smiling because of what Make-A-Wish did for her. “My god, I had so much fun. Like, I want to go back. Really do,” said Sheika-Lee Palmer. Sheika-Lee lights up remembering her visit to South Korea. The trip had been a dream and just looking forward to it helped brighten her days as she battled bone cancer. “Instead of me being all gloomy and stuff, I was always happy,” said Sheika-Lee. At the time, it was a tough and draining treatment for the then 14-year-old from Hartford. In the middle of it came a surprise: Make-a-Wish granted her wish at NBC Connecticut during “Miles for Smiles” last year. “When she hear about the Make-a-Wish I think it changed her, yeah a lot, her mood a lot because she was happy about it,” said Christine Pratt, Sheika-Lee’s mother. At first Christine was a little concerned about the long flight to Asia. “Sheika-Lee was like, ‘Mom, I’m not changing my mind. That’s my wish. That’s my wish come true, mom. I go through a lot mom. And that’s my wish come true.’ And I say, okay,” said Christine. Sheika-Lee was treated to an authentic Korean meal in New Britain. And in April she was off to Seoul. 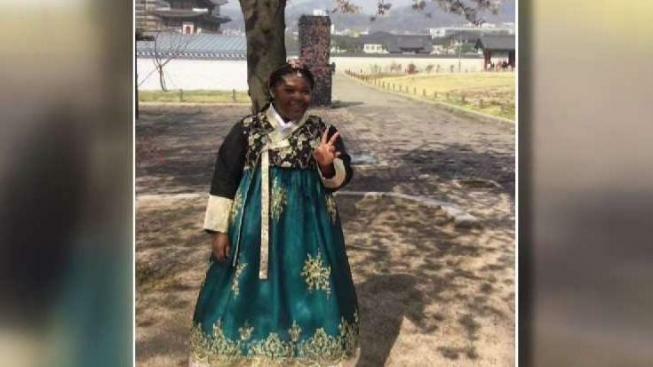 Once there, Sheika-Lee along with her mom and friends dressed up, explored the country and enjoyed one of their big highlights: visiting a museum devoted to a type of Korean music. It’s dubbed K-Pop and Sheika-Lee’s love of it had originally sparked her interest in Korea. “Me and my friend went crazy in the store. We started just picking up random stuff and purchasing it. We lost it,” said Sheika-Lee. Now happy and healthy, Sheika-Lee is going to high school and hopes to return to Korea to attend nursing school. “I want to get good grades because I want to help kids with like my situation,” said Sheika-Lee.